Google Authorship Helps Home Service Companies By 5 Ways. 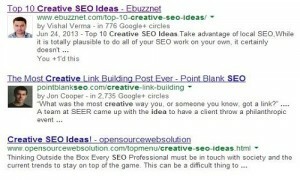 Google Authorship is Google’s new way of connecting authors to their content. It unifies your scope of expertise across the internet and allows Google to determine your authority based on something more than backlinks. +1’s and “Likes” are both statistics that measure your business’ popularity in a simple and basic way on social media. Facebook is currently the largest social media platform, and we have seen how the number of “Likes” that a business page has is directly related to how credible the page and businessis seen, at least in the sphere of social media and the internet. Mike Piwonka is the owner of the Grass Outlet, a sod grass company serving the families of Texas. Mike is proud to personally run his company’s Google+ page.